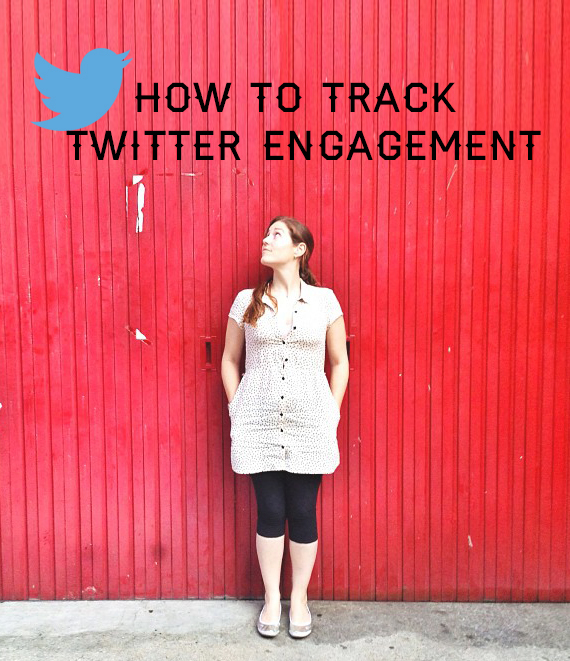 I’ve been on the hunt to find the best, fastest and cheapest way to track Twitter engagement and, of course, hashtags! Hashtags are a powerful tool that can not only be used to connect to conversations, but also help track your time well spent on Twitter. For a fast and easy way to bunch up your own tweets from a specific event, click on the hashtag you want to track. Then in the left column, click on “advanced search.” Fill in the information you’re most interested in and there ya go. I tend to fill in one hashtag, my Twitter account and the date range. Once I press “search” at the bottom I’m directed to the results page which has it’s own URL. I use that URL to send to clients or for future reference. What’s the purpose of this? Well, in my case it’s a great way to send one link to a client with all my tweets from a specific job so they can see how active I was. I was hoping to find more specific hashtag results but this site provides: overall engagement of the account, engagement per post on each account, reach, follower increase/decrease, the most popular posts per account… but alas, no hashtag analysis from what I could see. The free data sets don’t seem that useful to me, but there is a monthly report that can be helpful to you, but it comes at a fee. Ok, we may be on to something here if you’re interested in hashtag results like I am. Even though there’s a paid option, you can still use the free tool. The only caveat is that you can only look up results within the last week. This is why it’s imperative that you handle all analytics within a day after an event, so you can see all the tweets leading up to the event. An interesting thing they offer is the ability to see where the tweets are coming from and which gender. You can also search hashtags in Instagram, but all it provides is the total of photos posted and total amount of users in the last five days. *Check out a great way to track hits to your site from Instagram! This seems useful if you want to organize your followers by influence, by location and even add another credential like “travel bloggers.” What to do with your findings? Group those Twitter accounts into a list that you can easily track. But, I already have most Twitter accounts into lists—OCD can come in handy I guess. The sweet thing about this site is that you can find targeted accounts instead of searching for hashtags. Here’s a real-time reporting machine that offers two free weeks of data. You can track different “projects” of your business by setting up specific keywords, decide who you may want to track, plus time the notifications. I wasn’t digging the “mentions” section because it shows how many tweets are posted a day (not that interesting to me) and the “reach” is only visible if you scroll over the graph. I need something that I can easily read without hovering over points. It’s not helpful if I want to share a screenshot with a client, and the downloaded version is so messy! However, what I did like was the “source” section breaks down every account that mentions the hashtag by the amount of posts, amount of followers and the estimated influence. In the “analysis” tab you can see a list of the most influential accounts related to your business. This is a great, simple site to help you collect all the tweets you’re searching for. Under “social search” on the top left I searched for a specific hashtag plus my Twitter account to get a full list of my tweets relating to a specific event. You can search according to timing and also sort them by newest, oldest, or most relevant. The drawback is that it doesn’t provide actual analytics. However, under “social analytics” you can somewhat advance the search but the results only show total tweets and a chart of how many tweets were tweeted per day within a month’s period. It’s a great tool if looking for realtime list of accounts, rather than searching for a hashtag on Twitter. If you don’t use bit.ly then I’m not sure what to tell you. I use this baby quite often and have it hooked up to this fabulous blog you’re reading. Bit.ly is a URL shortener and tracker. It’s great to track how many clicks your link received, from which site and from which country. However, from what I can tell there’s no data on hashtags. This baby is great if you need a more robust reporting system, but their plans are pricey with a 14-day free trial. You can sort the amount of shares of each post according to topic, type of content, date and country. The free account doesn’t do me any good though. There are so many sites out there and I have yet to find one that has everything for a decent price. Thanks to some articles like Craig Connects and Social Media Examiner, I was able to see which sites to test out for my own needs. *Check out this post about Instagram analytics! What do you use? Any tips you can share? Please spread the Twitter knowledge by sharing this post! This is a great list. Thanks so much for putting it together, Tiana. I’ve got to put some of these babies into play. Got any analytics recs for Instagram? I’m working on that one too. It takes time to test everything. I’ll shoot it your way when it’s done.